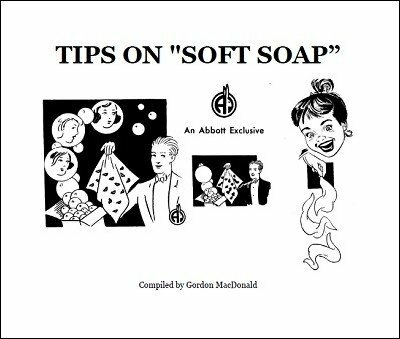 Magicians who use the well-known Soft Soap effect will treasure this collection of more than twenty tricks, ideas, patter themes and presentations for use with this trick. Among the contributors are Milbourne Christopher, Hen Fetsch, Arnold Furst, Karrell Fox, Ken Allen and many others. Compiled by Gordon Macdonald.